This is a very unique and seasonal Kimchi I ever made in Brighton. This winter was quite cold so wild garlic leaves were out later in a forest, too. There are many exciting recipes using these wonderful, natural and seasonal ingredients. 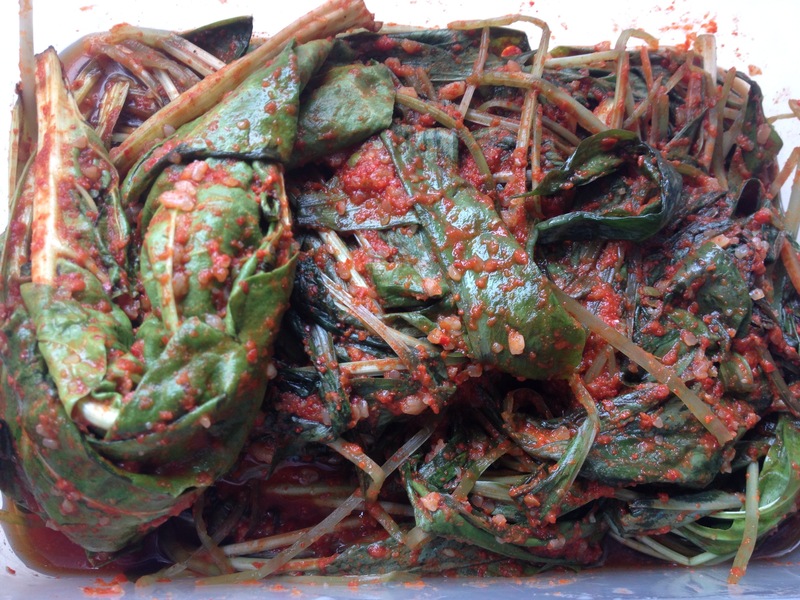 But today, I am just going to show you my own Wild garlic leaves Kimchi, here. As you might guess, you can smell and taste quite strong garlic from this Kimchi. So only difference when I make this Kimchi is no garlic for making Kimchi mixing paste. You also have to be a bit patient to eat this Kimchi. It might take a bit longer to get fermented due to its pungent taste. Do you have the recipe for this please? 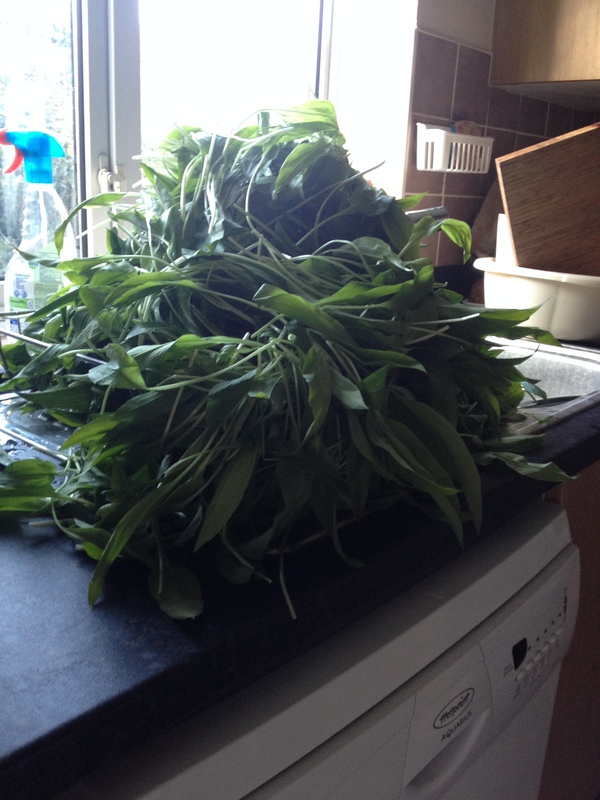 I have plenty of wild garlic picked yesterday. Hi, at first thank you for visiting my blog. You can cook wild garlic leaf in so many different ways. Simply use them just like spring onion or chives. One of my favourite is ‘wild garlic pancake’. Savoury pancakes with lots of garlic leaves on top! Another good way to preserve wild garlic is pickling. Boil soy sauce, vinegar and sugar (1:1:1)and let the mixture cool down a bit. Pour the mixture liquid into wild garlic. You can eat this pickle pretty much immediately. It is particularly good with any pork dish. Mix all ingredients to make kimchi paste at first and then add wild garlic leave into the paste. Keep it in an air tight container. Leave the container in room temperature for 2-3 days and keep it in a fridge. This type of kimchi normally will be still good taste even after 2-3 months of time of making. It all depends on your taste! Try and let me know. Thank you. Thanks I’ll let you know how I get on.